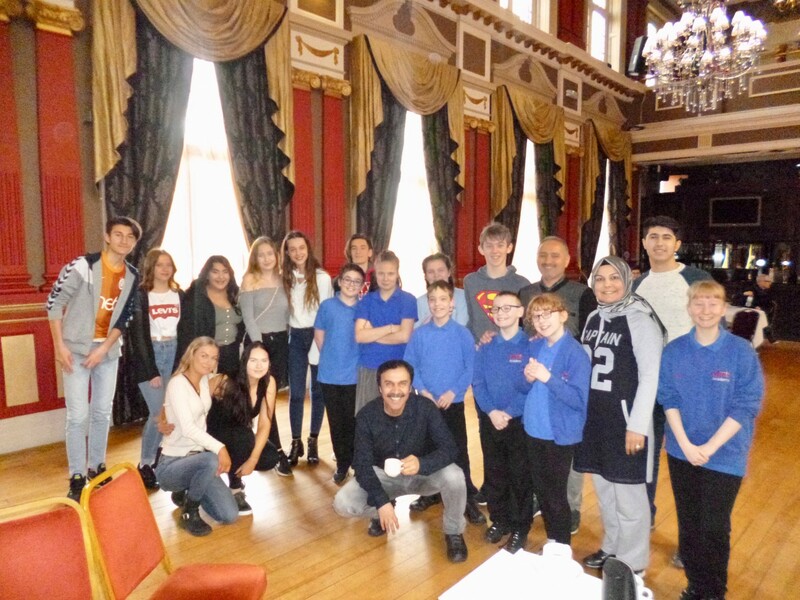 Students and teachers from 5 countries across Europe have come together in Hartlepool as part of a project linking education to employment. Catcote Academy is the the UK host and writer of the project. We have joined forces with schools from Italy, Germany, Sweden and Turkey to develop skills which will help students gain employment. This is 6th trip involving students working together. 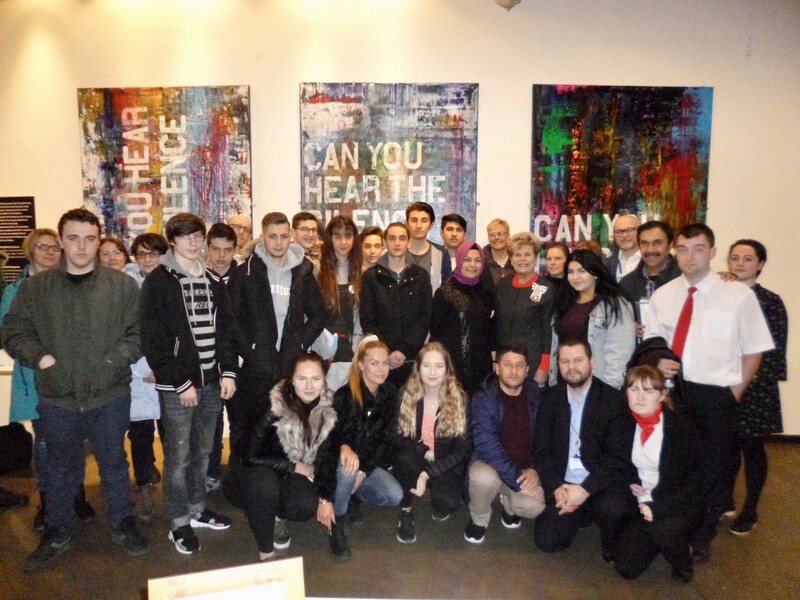 In total, the project has involved 5 countries, 6 trips abroad and 99 student exchanges. 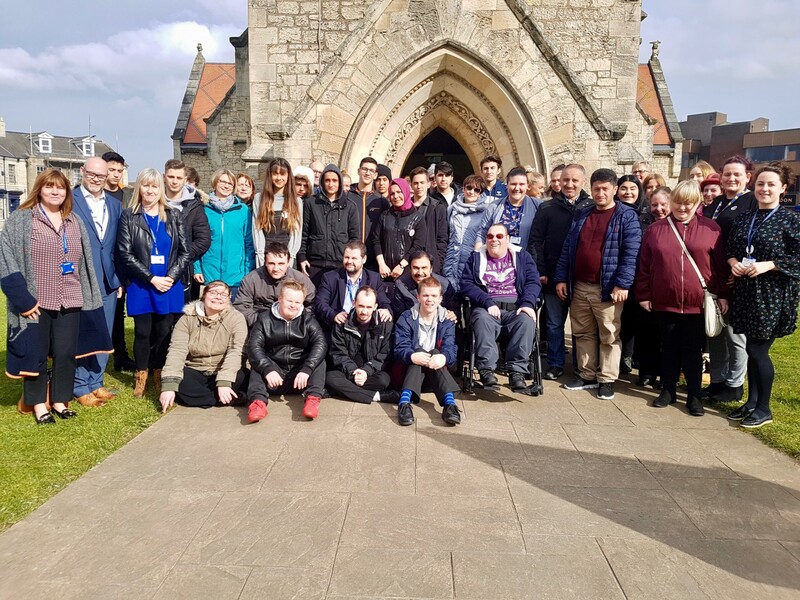 The aims of this visit is to share the fantastic work which has taken place in developing the employability skills valued by employers in our students. 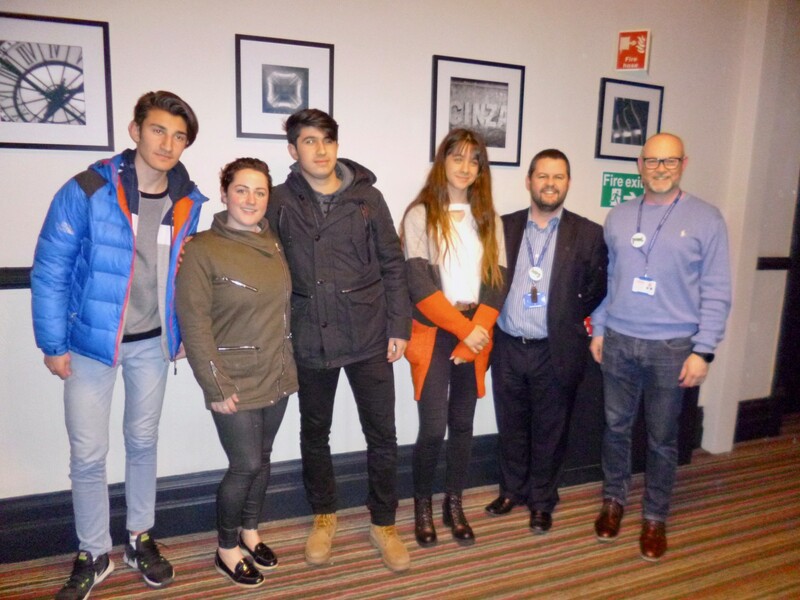 International students and staff arrived on Sunday 11th March and were collected from their various arrival points and brought to The Grand Hotel in Hartlepool. 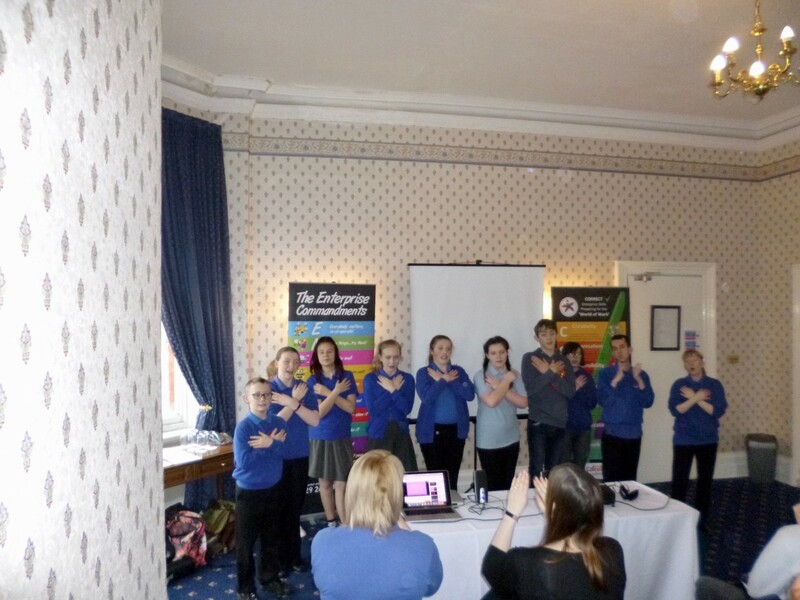 Our Sing and Sign group make a fabulous performance to welcome our Erasmus+ European guests to Hartlepool. Our Head Teacher, Mr Chapman made a speech to welcome our guests to Hartlepool. 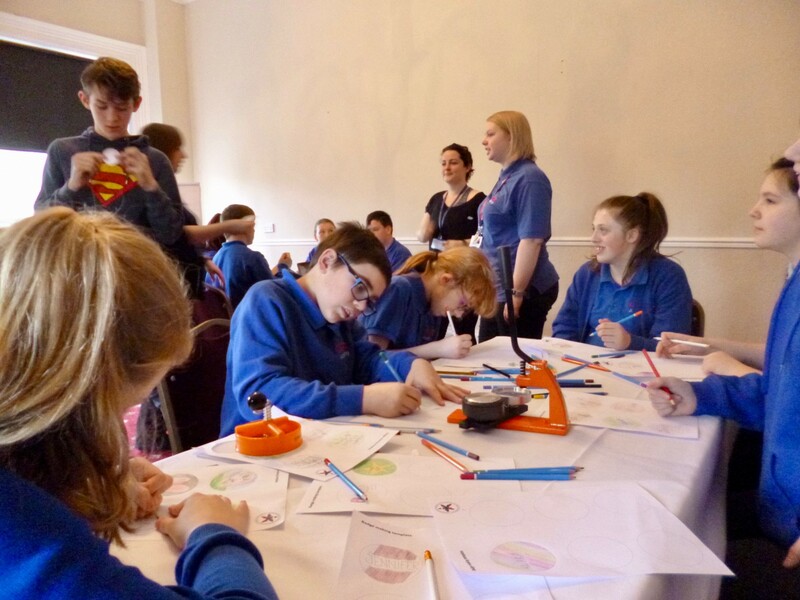 The first task to challenge students’ creativity was to make a name badge and also a badge to represent their own country. 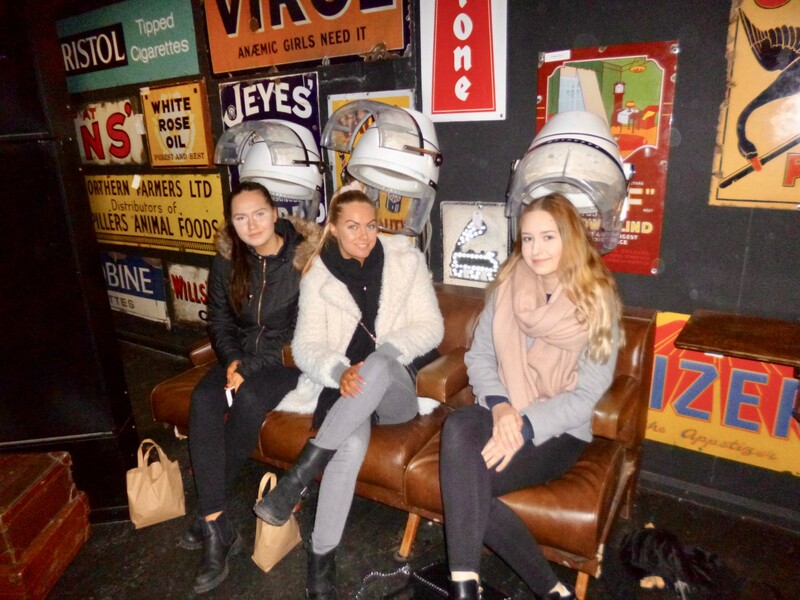 Students also created a video which included their preconceptions about the UK and their thoughts about what they were going to experience during the week. Day 2 was Turkish day. Because we could not go to Turkey, Turkey was brought to us. 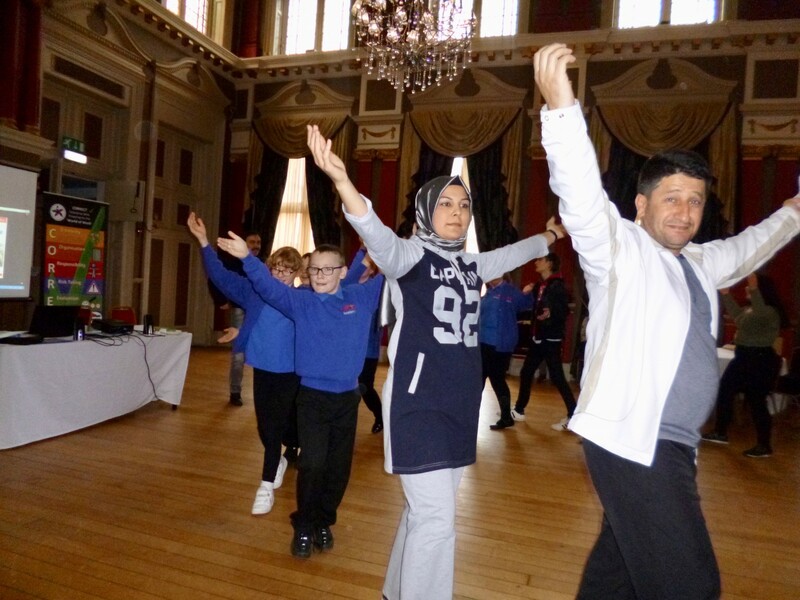 One of the first activities was students learning a traditional Turkish dance. The Turkish group then taught the others a traditional Turkish song. 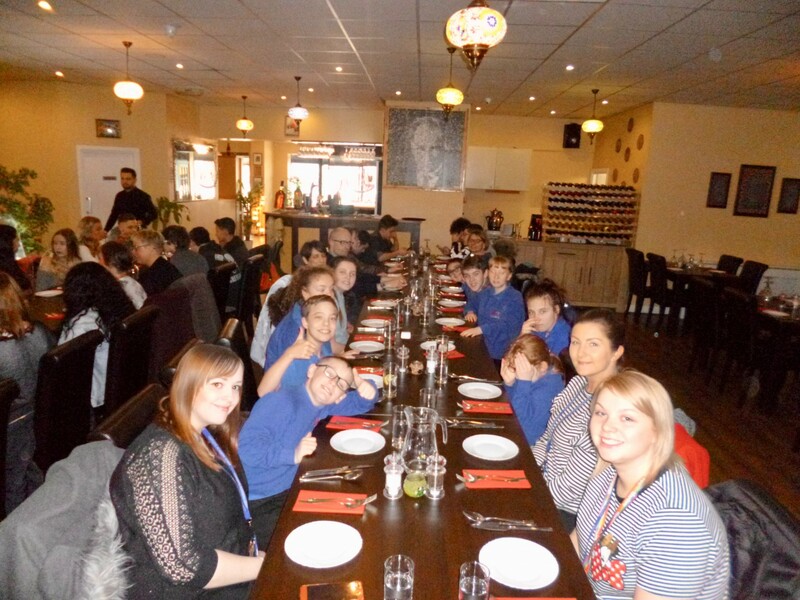 After a beautiful Turkish lunch at Agora restaurant on Hartlepool Marina, we were entertained by a live traditional music concert. Wednesday was an important day. 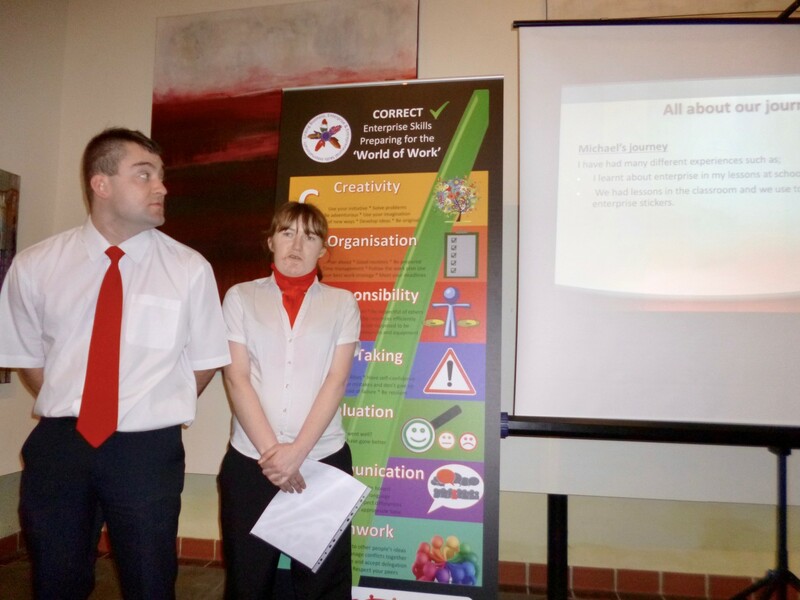 Today we had presentations from each partner school who explained how the enterprise skills have been embedded into their own curriculum. 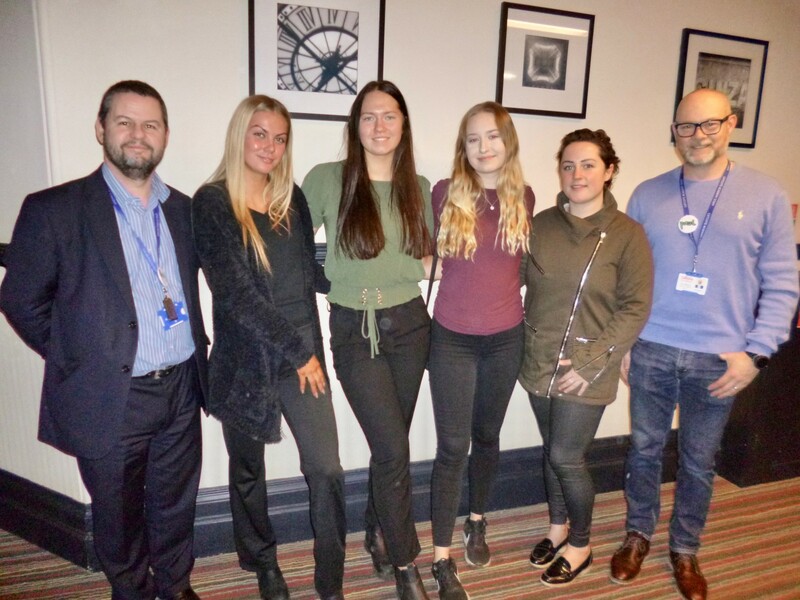 Some students from Catcote Academy explained how the Enterprise curriculum they have followed in school and college has really helped them gain skills to start a business and gain an assisted internship place at McDonald’s. We were also extremely privileged to have been visited by Sue Snowden, H.M. Lord-Lieutenant of County Durham who came back to Catcote Academy to see how we are preparing our students for the world of work. Thursday was a cultural day. 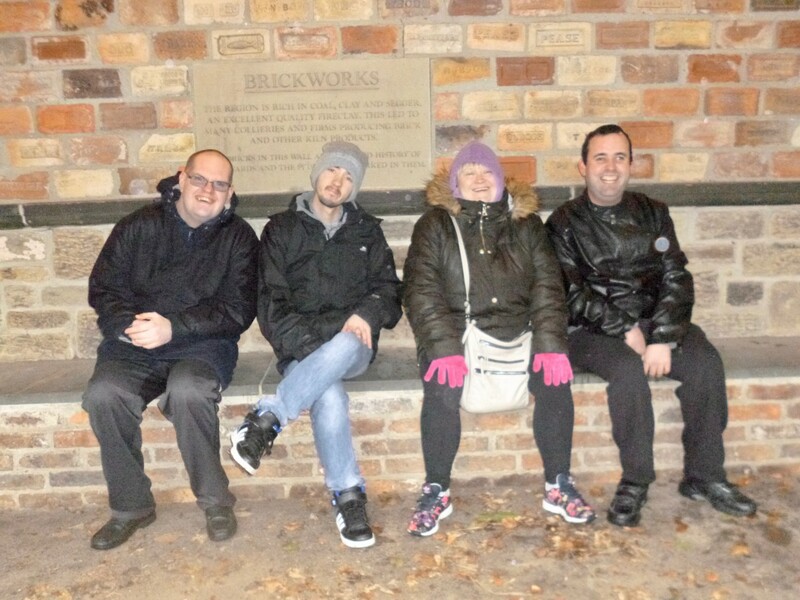 The group went to visit Beamish Museum to see what Britain was like in the past. Although the weather was terrible, a good time was had by all. On the final day, the groups filled in evaluation forms, answering questions about what they got from the week. 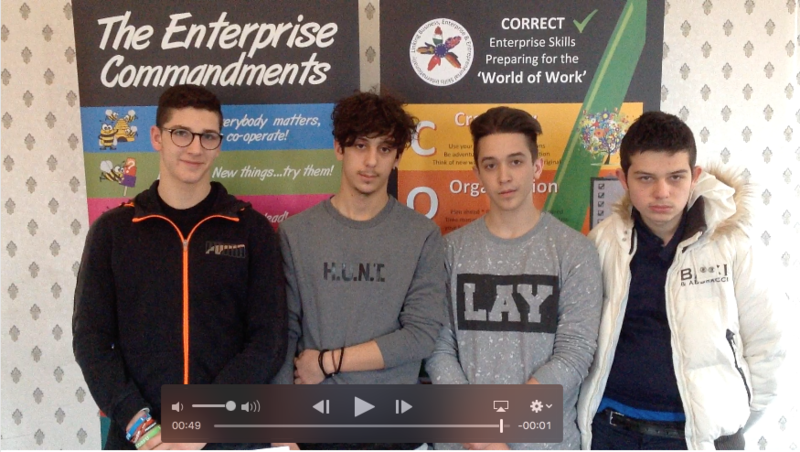 They also recorded a follow-up video to decide whether their preconceptions and expectations were correct. We were very pleased to discover that they all knew a lot more about the UK and could correct their misconceptions or knowledge. 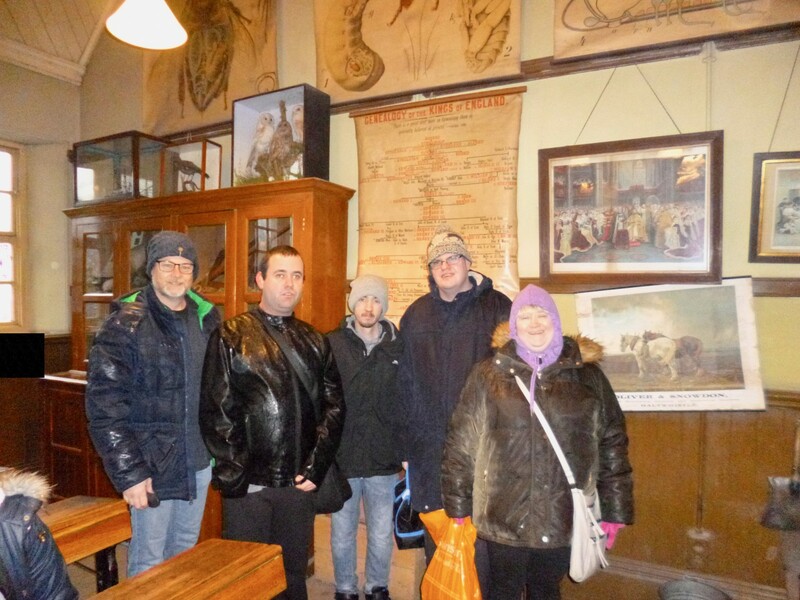 All students got what they expected or more out of the visit and commented about how friendly and open the people they met whilst here were. 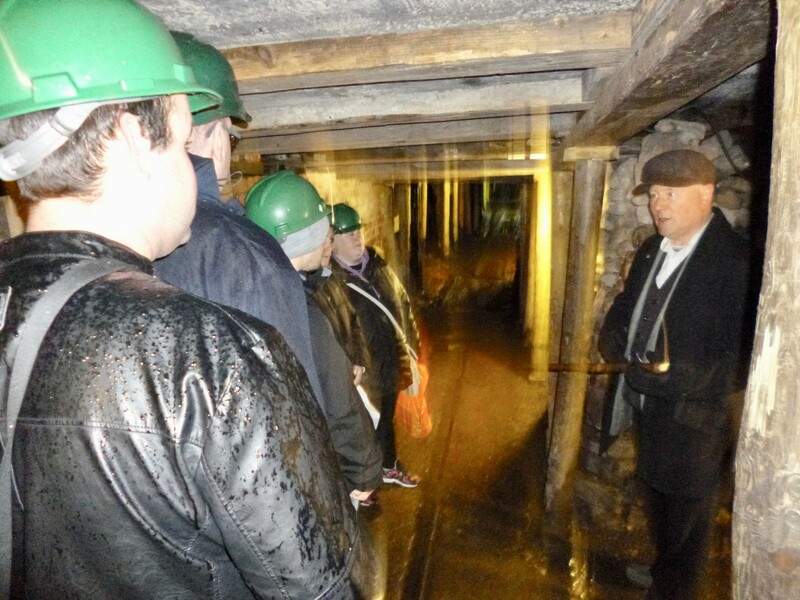 Lots of new friendships were made and employability skills strengthened.